I just got this notice for a garlic cultivation class in the Madison, Wis. area. I had great garlic luck this year, but was it beginners luck? So I'm probably going to take one of the classes. Please sign up with the contact specified for selected class. Garlic. Tangy. Tasty. And fairly easy to grow. And you have to start thinking about it now. Really, I mean it, NOW. 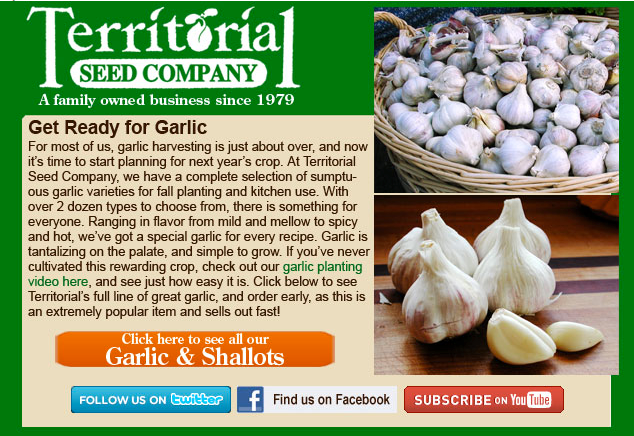 For us "northern" climate growers, don't make the same mistake I did last September and order softneck garlic. Only the hard-neck varieties thrive in our latitudes. Last year I planted a soft-neck and it was a major disappointment. Fortunately, the hard neck variety I bought (Duganski) did amazingly well, some of my crowns weighed in at four ounces. 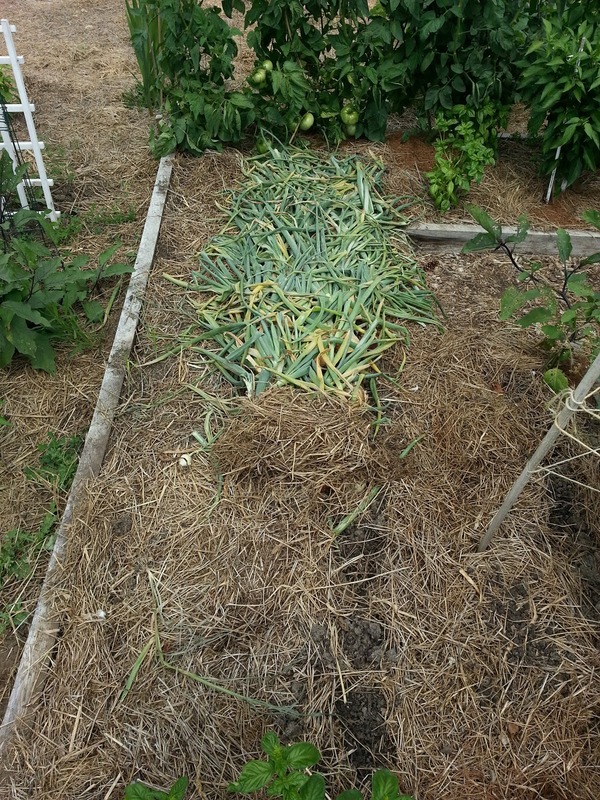 We harvested 10 pounds of garlic from one pound of crowns! 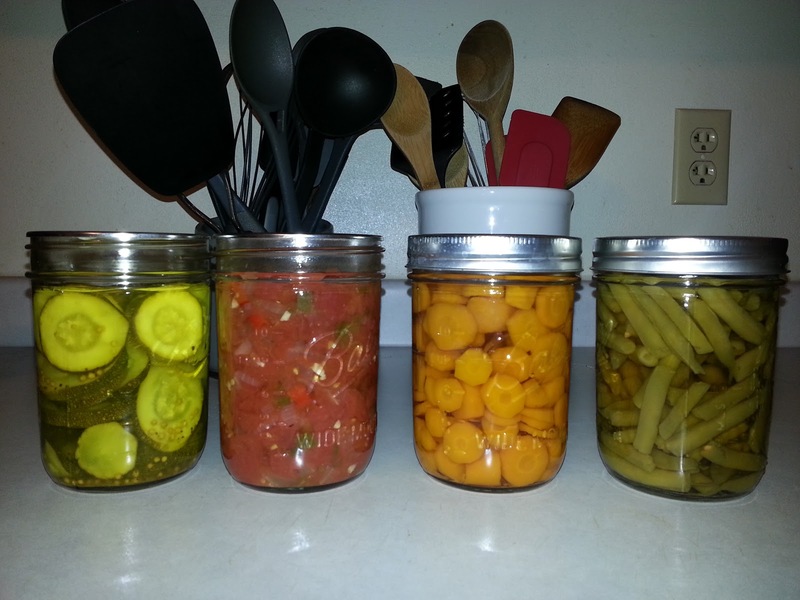 I highly recommend Territorial Seed Company. They have a wide variety of garlic and great customer service. If you don't know what you want, call them, they are very helpful! The best part about raising garlic is you can use the seed over and over; so once you purchase a variety you like, you can keep using your own seed stock from year to year. What are your favorite varieties? I have 13 tomato plants in my community garden. They are producing beautiful fruit (seem to be past blossom-end rot now), but slowly. My paste tomatoes are small and tasty, but I don't have enough to actually do anything with them such as can salsa or a marinara sauce. And the really big paste and beefy tomato varieties are still green and getting bigger. But we really wanted to can this weekend because we're out of town next weekend - we had the time today but the tomatoes didn't cooperate. Then it occurred to me. There must have been someone in my community garden who, this weekend, had a lot of tomatoes and had to go out of town and was wishing his or her tomatoes had come in a week later. What if I had offered a trade - "You give me 30 pounds of tomatoes this week. I'll have enough to can and you won't have any vegetables drop on the ground while you're away. And next week, I'll give you 30 pounds from my garden." Is this a new idea, or have I just not come across the right bunch of vegetable swapping people, website or email list? 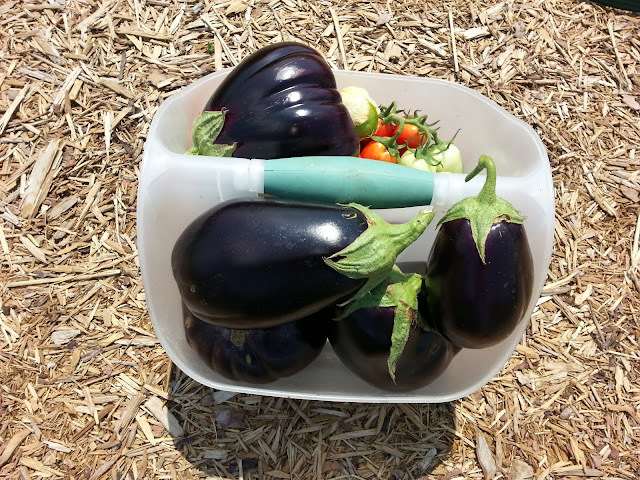 How do you glean enough produce to put it up with tomatoes ripening at different times? Good and tasty, but not enough to do anything with - yet. Looks like we're making baba ganoush this weekend. What's your favorite way to prepare eggplant. PLEASE comment on the blog so all can see your wonderful ideas. Here's a nice recipe. I char mine on the grill and whip up the skins and all in a food processor. 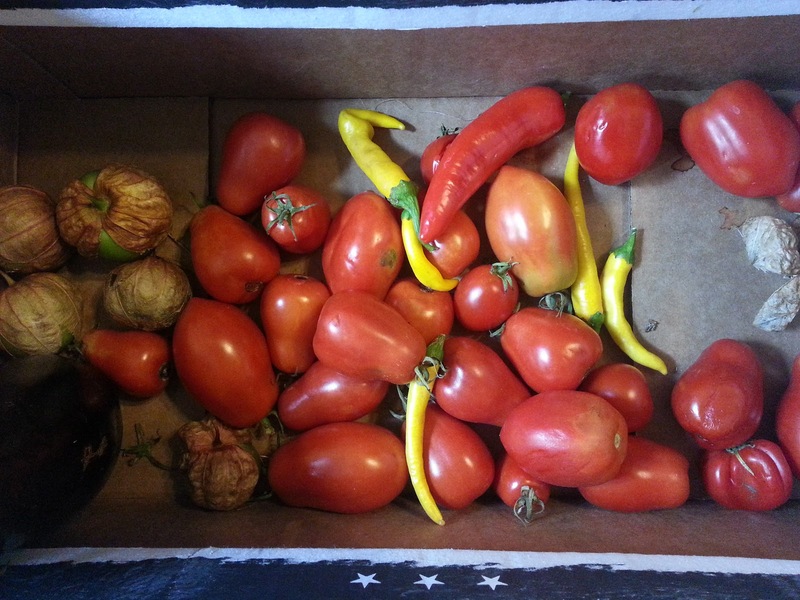 Also in today's harvest are some tomatoes and a few tomatillos. I pulled all of my onions out of the ground earlier this week. Not newly 1/3 of my garden is empty. I haven't started any plants, and greenhouses and nurseries are already thinking about poinsettias.